BarlisWedlick is proud to have this projected featured alongside other innovative sustainable projects through out the world. This year the jury elevated 115 AIA members and 9 international architects. Dennis was elevated for his significant contributions to the practice of architecture. BarlisWedlick featured amongst a select group of designers for Luxe Magazine’s Gold List for 2019. The team transformed a neo-Gothic, Park Avenue duplex into a stylish bold home, while keeping family at the center of it all. Beckoning Path named Best of Year by Interior Design Magazine in the Health and Wellness category. The panel will focus on Sustainable Luxury and is part of the 2-day Fall Market at the D&D Building in New York City. Dennis’ presentation detailed his first hand experiences integrating the heritage of 19th Century Adirondack and Hudson Valley artists and artisans into his work over the course of his 30 year career. BarlisWedlick is proud to be featured in the newly released Hudson Modern. 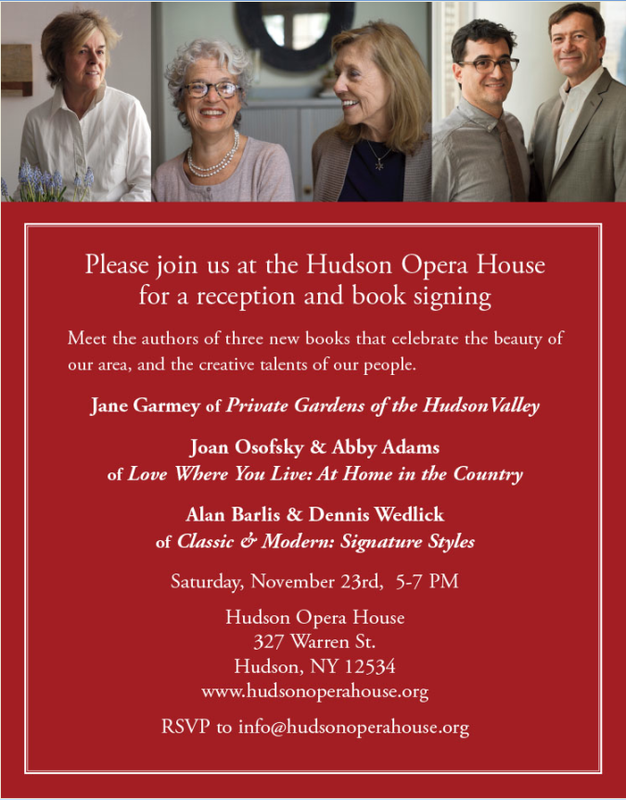 Hudson Modern, a beautiful new book by author David Sokol that explores the unique relationship between the natural and the built environment in the Hudson Valley. In May 2018 BarlisWedlick and four other local designers took place in the first annual Design Hudson event. This event was created to showcase the incredible architecture and design in the Hudson area. The efforts made by the Hudson Business Coalition and all the participants and volunteers made this a wonderful event with enormous turn out. We are proud to have taken part in the first annual ONE Fair at the Hudson Basilica. This event focused on new energy solutions by hosting a variety of vendors, speakers, and presenters dealing with sustainability and efficiency. BarlisWedlick is proud to announce the elevation of principal Alan Barlis to the American Institute of Architects College of Fellows. We are pleased to have been considered by one of our favorite media outlets, Architect's Newspaper, for their 2017 Best Of Design Awards. Our Wellness Retreat, in Westchester County, a high performance retrofit, restoration, and addition to a mid-century landmark building received an honorable mention in the Renovation category. The Beckoning Path was featured prominently on Chinese Central Television (CCTV) show in 2017. This episode aired to their viewership of over 1 billion people as part of a campaign to promote the message of how Tai Chi is spreading in the western world. On Saturday August 12, 2017 BarlisWedlick will be presenting a casual talk as part of Historic Hillsdale’s Annual House Tour. The presentation, titled “Classic and Modern: Designing homes in Columbia County for the 21st Century”, will touch on the firm’s contributions to the design aesthetic in the Columbia County region. For more information click here. BarlisWedlick will participate in Passive House Days 2016 , an international celebration of passive houses. The firm will welcome the public to two passive projects in the Hudson Valley, the Seventh Day Adventist Church at Kinderhook, the nation’s first certified passive house church, and its latest passive house for the Columbia County chapter of Habitat for Humanity. This project, currently under construction, shows that these precise, high-performance homes can be built with dedicated volunteer labor. Alan Barlis to speak on a panel at the North American Passive House Network Conference in New York. Just in time for Earth Day, BarlisWedlick is proud to announce that its design for a church in the Hudson Valley will become the very first certified passive house church in the country. BarlisWedlick’s interiors department enjoys a spike in national press coverage in February. BarlisWedlick to be honored at the Columbia County Historical Society’s annual First Columbians event. The event is a celebration of architects who are “restoring the past and designing the future of Columbia County. Alan Barlis delivers a lecture at the City College of New York’s Architecture School at its cutting-edge Solar Roofpod. Entitled “Passive Solar vs. Passive House,” the talk was the latest in BarlisWedlick’s ongoing affiliation with CCNY. Principal Alan Barlis and interior design associate Elaine Santos represent BarlisWedlick at the Winter Antiques Show for the third year running. Dennis Wedlick is among the thought leaders selected to chair the Vision 2020 symposium on sustainability in the built environment. BarlisWedlick named ‘Best Architect in Columbia County’ by Popular Vote. 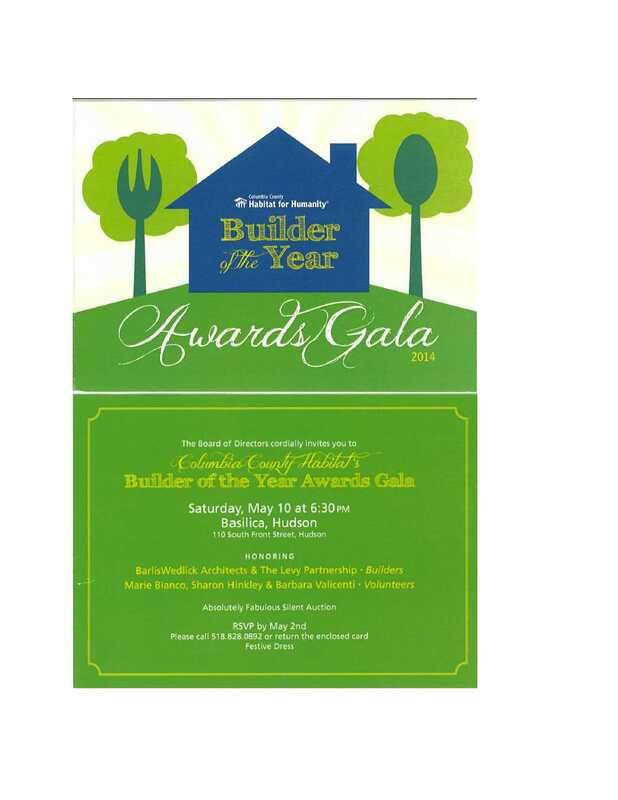 BarlisWedlick to be Honored at the 2014 Builder of the Year Gala, Habitat for Humanity, Columbia County. BarlisWedlick’s Passive Townhouses for Habitat for Humanity Win Design Award from the Capital Region Builders & Remodelers Association (CRBRA). 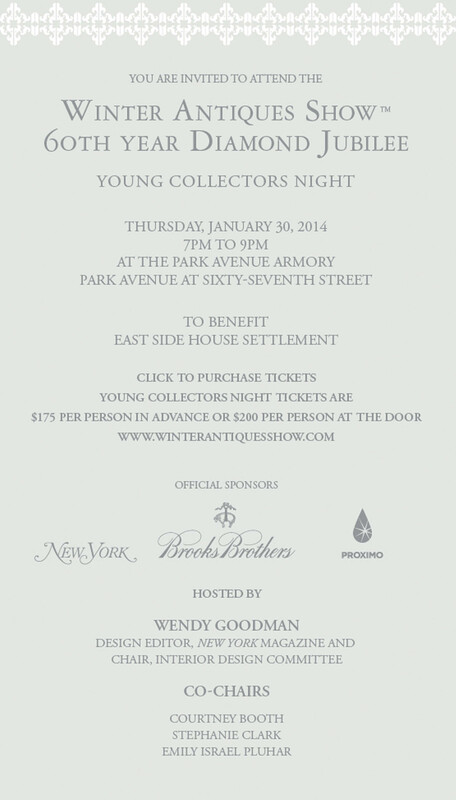 BarlisWedlick Architects Joins the Interior Design Committee for Young Collectors Night at the Winter Antiques Show. BarlisWedlick book signing at the Hudson Opera House. June 2013 — New York, NY—Some architects have a signature style that becomes the hallmark of all their projects. By contrast, Alan Barlis and Dennis Wedlick, partners in BarlisWedlick Architects, see their role as uncovering their clients’ own signature styles and then designing homes that bring them to life. In the upcoming hardcover book, Classic & Modern: Signature Styles, the authors explore 14 projects that each stand for a different signature style, revealing not only the expressive power of architecture but also the tastes and predilections of the households that commission them. With a foreword by noted architecture critic Julie V. Iovine, Classic & Modern: Signature Styles(ORO Editions; $50) will be available at the end of July 2013. www.classicmodernsignaturestyles.com www.barliswedlick.com www.oroeditions.com. As they guide the reader through gorgeous portfolios of these eclectic projects—which range from an Italianate country villa to a spare SoHo loft—the architects show that both classic and modern aesthetics, often considered to be opposed and even mutually exclusive, interact subtly in the most distinctive and beloved homes. The work in the book is organized into two portfolios: those that primarily reflect a classic style (Signature Classic) and those that are mostly modern (Signature Modern). But what is most interesting is how elements of one style add vital flair and functionality to projects more closely associated with the other, and how almost every homeowner’s signature style is an inimitable blend of the two. The projects in the book are also a testament to the extraordinary artists and designers with whom Barlis and Wedlick had the privilege to collaborate. They include the performance artist Marina Abramovic; interior designers Thad Hayes, Julia Doyle, Matthew White and Frank Webb; and landscape architect Margie Ruddick. The Wiley house is minimal, intentionally so, stripped of any picturesque details and the personal stamp of its owners. The modern houses in Classic & Modern strive to emulate the best of this style but incorporate the romantic, whimsical and yes, even traditional, flourishes that make a home an inseparable extension of those who live there. BarlisWedlick Architects’ client-centric approach places a premium on just this sort of detail. Projects in the Signature Modern section include a rural compound whose red steel-and-glass vaulted structures recall traditional barn buildings; a stone house with a stunning all-glass wall that set a national record for energy-efficiency; a sprawling Manhattan loft with elegant retro touches; and an artist’s serene country retreat. Part II, Signature Classic, addresses styles that represent the period in which they were conceived; the best classic houses are as rooted in time as they are in place. The opening essay examines the Millford Plantation, which was built in South Carolina in 1840 and is listed on the National Register of Historic Places. A pristine example of the Greek Revival style, Millford was the inspiration behind the River House profiled in the book. River House is a modern take on a classic style, as are all the houses featured in the Classic section of the book. Other projects include a rustic Cotswold-inspired artist studio and guesthouse; a charming home comprised of two traditional Saltbox structures joined at an angle by an airy conservatory; and a Hamptons getaway that blends classic Shingle style with East Asian architectural traditions in a decidedly modern way. Columbia County Habitat to Dedicate Energy-Saving Columbia Passive Townhouses. BarlisWedlick Architects participates in the dedication of its passive house project for Habitat for Humanity, the non-profit’s first passive house project in New York State. Columbia County Habitat for Humanity (CCHfH) will dedicate the revolutionary Columbia Passive Townhouses at 10 a.m. on Saturday, April 20, 2013 in Hudson, NY. Designed by ground-breaking green architect Dennis Wedlick of BarlisWedlick Architects, the Columbia Passive Townhouses at 244-246 Columbia Street will be the first Habitat homes in New York State designed to achieve the Passive House standard, the world’s most advanced building science benchmark for energy efficiency. Heating energy use in the Townhouses is expected to be 90% less than conventional construction. The dedication will be followed by an open house hosted by BarlisWedlick Architects. This will be a chance to tour the project with the architects and learn about the design and the energy-efficient features that will contribute to its high performance. The open house will run from 12-2 PM on April 20, 244-246 Columbia Street, Hudson, NY. For more information, please visit www.barliswedlick.com. In 2012, BarlisWedlick Architects designed the state’s first certified Passive House, the Hudson Passive Project, which proved to cut energy use by an extraordinary 99% for heating without the aid of solar, geothermal or wind. Constructed by the Bill Stratton Building Company and monitored by the New York State Energy Research Authority (NYSERDA), the unprecedented energy conservation achieved by this structure is credited to the home’s ability to maximize the warmth of the sun, natural lighting and internal airflow. The Hudson Passive Project team reunited to volunteer its design and construction expertise to bring about the Columbia Passive Townhouses. Using the same building science, BarlisWedlick predicts that the Columbia Passive Townhouse will use 90% less energy for heating and 70% less energy for all uses even when compared to homes designed to meet NYSERDA’s highest energy standard, Energy Star. Air quality in Passive Houses is also significantly higher than in conventionally built or renovated homes because of the Energy Recovery Ventilating (ERV) systems that complete the Passive House designs. Although costly due to limited production in the United States, a Certified Passive House ERV system provides for fresh air 24 hours a day with virtually no heat loss or heat gain. In addition to BarlisWedlick and the Bill Stratton Building Company, Habitat partners donating their services or products to the Passive House build include: the Columbia Passive Townhouses Team: Zero Energy Design, building science; The Levy Partnership, energy certification and field verification; GreenFiber, cellulose roof insulation; BASF, foundation insulation; Crawford & Associates, engineering; Intus, windows and James Romanchuk & Sons, custom kitchen and bath cabinetry. The City of Hudson and the Hudson Development Corporation gave the two lots to CCHfH. Habitat also received donations, grants and other funding for the project totaling $105,000 from the New York State Affordable Housing Corporation, $40,000; the Hudson River Bank & Trust Foundation, $30,000; the Galvan Foundation, $15,000; Herrington’s, Inc., $10,000 and Softwood Lumber, $10,000. The Columbia Passive Townhouses are Phase III of Habitat’s Columbia Street Campaign and the 15th and 16th Habitat homes built in Columbia County since 1993. In March of 2012, Phase II completed two 2-story attached townhouses at 240 and 242 Columbia Street in Hudson. These single-family, owner-occupied residences were built to new higher Energy Star ratings for more economical and environmentally friendly energy use. Along with two similar townhouses at 444 and 446 Columbia Street, finished in 2011, these new homes are helping to revitalize the community and boost reinvestment in the neighborhood north of Warren Street. Columbia County Habitat for Humanity (www.columbiacountyhabitat.org) is an affiliate of Habitat for Humanity International. Habitat brings together a community of neighbors and businesses to build simple, affordable houses. The homes are sold to working families with a no-interest mortgage. Columbia County Habitat was founded in 1993 and has built 16 houses in the County, including the six on Columbia Street and five on nearby Mill Street in Hudson. To encourage recycling and re-use as well as to raise money to support its program, Columbia County Habitat opened its ReStore in 2009, adjacent to its office at 829 Route 66, east of the 9H intersection. Dennis Wedlick Architect LLC becomes BarlisWedlick Architects LLC. April 1, 2013 – New York, NY – Dennis Wedlick AIA, principal and founder of the firm that bears his name, is pleased to announce that the practice—which has specialties in architecture, interiors, landscape, and master planning, and with offices in Manhattan and Hudson, New York—will change its name. Starting April 15, 2013, the firm will be known as BarlisWedlick Architects LLC. The new name recognizes the leadership role of Alan Barlis AIA, who became Wedlick’s partner in the company in 2007. Under the collaborative leadership of Barlis and Wedlick the firm has grown, developing new areas of expertise and expanding its client base. The name change comes as the firm prepares to mark two significant milestones: its 20th anniversary and the spring 2013 release of a book co-authored by the two, Classic & Modern: Signature Styles (www.classicmodernsignaturestyles.com). A new website for the firm is now live at www.barliswedlick.com. Wedlick founded the firm in 1993 after a 12-tenure in Philip Johnson’s office. From the very start, he set out to build a client-focused practice dedicated to creating clients’ dream homes—houses ideally-suited to their setting, site, and especially the preferences and quirks of their future inhabitants. Dennis Wedlick Architect has enjoyed great success, garnering accolades in the press and becoming a respected advocate in the fields of residential architecture and energy-efficient building standards. Wedlick is the author of several books and has taught at the University of Pennsylvania, Parsons, and the City University of New York (CUNY). The Hudson Passive Project is named the first certified passive house in New York State. Designed by Dennis Wedlick Architect, house set records during performance testing and is among the most energy-efficient homes in the country. New York, NY – APRIL 2011—Dennis Wedlick Architect LLC (DWA) is pleased to announce that its first foray into the rigorous passive house standard—today’s highest benchmark for energy-efficient design and construction—has resulted in another first: the conservation project that came to be known as The Hudson Passive Project has just become the first passive house in the state to be certified by Passive House Institute U.S. In addition, the Hudson Passive Project has set a national record for air-tightness among certified passive homes with an exceptionally low score of 0.149 ACH at 50 Pascals. The speed of construction was also remarkable—the house was substantially complete within just four months. www.hudsonpassiveproject.com. The Hudson Passive Project is located in Claverack, New York on a seven-acre plot in the heart of the Hudson Valley. Designed by a dedicated team at DWA, the house was built by Bill Stratton Building Company, a local green builder. While this was also Stratton’s first passive house, his team managed to exceed the exacting building requirements required to achieve passive status. Passive houses can reduce energy needed for heating and cooling by a staggering 90%, and are just now becoming more prevalent in the United States. (The passive house—or passivhaus—standard originated in Germany, and is more common in Europe). The Hudson Passive Project shows that adopting the basic tenets of the passive house concept—harnessing the power of the sun, adopting a compact and efficient shape, using super-insulation, and minimizing heat loss through the building envelope—can be implemented in any project, regardless of style and climate, making the end result that much more energy-efficient. Hudson Passive Project breaks ground on Earth Day. BarlisWedlick breaks ground on The Hudson Passive Project, a passive house the Hudson Valley that would become the first certified passive house in New York State. With energy engineering by The Levy Partnership and financial support provided by the New York State Energy Research and Development Authority The Hudson Passive Project’s new approach to über-efficient green architecture puts it on track to become one of the most energy-efficient homes in the country. NEW YORK, NEW YORK – April 22, 2010 (EARTH DAY) – Dennis Wedlick Architect LLC (DWA) is proud to announce that it has designed a passive house, meaning a house that embodies today’s highest standards for smart energy use and conservation. The state-of-the-art stone house is finely-tuned to its site and climate. In the winter, very little heat is lost and almost all of the heating requirements are provided by free solar gain through the expanse of south-facing windows. Thanks to the highly-insulated ceiling, walls, and floor that keep the house warm in the winter, little heat is gained in the summer. Remarkable for its energy performance, the barn-inspired structure will be erected in a matter of days, transformed into a stone home in a matter of months, and will achieve near zero energy consumption without the use of solar panels, wind turbines or other site energy systems. The prototype—which has been christened “The Hudson Passive Project”—will break ground in Claverack, New York on Earth Day (www.denniswedlick.com). Aesthetically, this project represents a radical departure within the green architecture movement. Instead of the starkly modern design one might expect, DWA’s three-bedroom house has the easy appearance of an old stone barn, inspired by the historical structures in the surrounding Hudson Valley. Inside, graceful bow-arch beams of southern pine—25 feet at their apex—frame an open, loft-like floor plan. A 23-foot tall south-facing wall of glass at one end appears to be a late addition to a century-old structure and lends the house a distinctly modern feel. The Hudson Passive Project is the realization of the challenge DWA set itself two years ago: to design a highperformance home that was both beautiful and easy to build. To launch the Hudson Passive Project, Wedlick collaborated with Sciame Development and Bill Stratton Building Company. The Levy Partnership (TLP), an architectural and engineering firm and industry leader in green building and sustainable design, and mechanical consultants CDH Energy completed the team. As part of New York State Energy Research and Development Authority’s (NYSERDA) High-Performance Residential Challenge, TLP had been tasked with working with several architects and builders throughout the state to substantially reduce energy use through innovative envelope design. All of the homes built under the Challenge Program meet strict energy targets, but the team aimed even higher with the DWA design, strategically employing materials and construction methods that virtually eliminate the need for mechanical equipment to heat or cool the space. TLP will monitor the Hudson Passive Project’s energy use and system performance for a full year. So how does it work? The Hudson Passive Project has a simple barn-shaped structure that can be prefabricated and assembled quickly, and is so well insulated that it will require only a tenth of the heating and cooling energy of a comparably sized residence. The energy-related features, such as super-insulation levels and high-performance windows, were shaped by the stringent requirements of Passive House construction. To meet these benchmarks, the Hudson Passive Project team opted for a prefabricated wood structure set on a highly insulated foundation. The walls are made of extra-thick structural insulated panels, or SIPS, and the windows and doors are constructed with continuous thermal breaks to minimize heat transmission. Electronically-controlled insulating window shades complete the thermal package. As a result, compared to the same design built to the state building code the prototype is projected to reduce heating energy costs by about 90%, without having to rely on “active” technologies like photovoltaics or solar thermal hot water systems. DWA’s old-yet-new stone house has already created excitement in the residential building product community. Inspired by the concept and design, leading brands including Waterworks, GE, Serious Materials and Hunter Douglas—all companies that have made a significant environmental commitment—have signed on to contribute to the project. As part of the awareness and education program surrounding The Hudson Passive Project, DWA and its partners are publishing a newspaper devoted to architecture for the greater good: The > Good Home Newspaper will be available for distribution later this spring. This publication will present the thinking that lead to the extreme green results of the Hudson Passive Project, and will also offer accessible action steps that the public can take to reduce our nation’s dependence on fossil fuels through simple home improvements. “During the design process, we kept coming back to the core concept: It’s not the technology, it’s the architecture,” said Wedlick. “We want to empower industry practitioners and homeowners with the understanding that better-built, better-designed homes can be a powerful and relatively simple way to conserve our nation’s resources.” For more information, please contact Jessica Olshen at 212 477 4600 or [email protected]. About HRS: The Studio, which occupies a two-floor historic building in downtown Hudson, has a workspace that includes a dedicated loft for exhibitions and conferences. The Studio is also the headquarters of the Hudson Valley Congress of Residential Architecture, a regional chapter of the national advocacy organization of which Wedlick is a founding member (www.corarchitecture.org). Most importantly, the Studio is a center of discussion about the development of the region. In the Hudson Valley as in other rural areas, the entire community depends on maintaining healthy natural and architectural environments, while promoting economic growth and design. About DWA: Dennis Wedlick Architect, LLC (DWA) was founded in 1992 by Dennis Wedlick. The firm has received national recognition for creating original and affordable projects that blend traditional references with the unexpected. DWA is renowned for the highest quality of service: program development, budget and cost analysis, design and documentation, and contract administration. With a staff of over 20 architecture and interior design professionals, DWA is small enough to provide each client with personal and dedicated attention, while adeptly meeting the demands of modern construction and project management. DWA is a member of the United States Green Building Council and has LEED™ accredited professionals on staff. The firm is based in Lower Manhattan. Opening this fall, the firm’s newest location will be a nexus of rural architecture, regional preservation, and sustainable development. Hudson, New York – September 2007 – Dennis Wedlick Architect LLC (DWA) is proud to announce that it will be establishing a center in the Hudson Valley. The thriving architecture firm has long had a presence in the “rural ring” around New York City, designing projects including complex second homes, eco-friendly cottages and farms, hospitality and university buildings and green communities. Beyond its architectural contribution, DWA has become known for its commitment to the area through its passionate advocacy of historic preservation, sustainable development and rurally appropriate design. So long a contributor to Hudson Valley development, it was only a matter of time before the firm made it official: DWA’s Hudson River Studio will open in Hudson, New York in October 2007 (www.thehudsonriverstudio.com). For principal Dennis Wedlick, The Hudson River Studio has been an ambition for over 20 years. Immediately after earning his degree in architecture, Wedlick had the honor of working with legendary architect Philip Johnson. Midway through his 12-year tenure in Johnson’s office, Wedlick received his first commission to design a cluster of woodland cottages on a plot of farmland in the Hudson River Valley. Thoroughly charmed by the landscape, within a month Wedlick had purchased an abandoned farm field and begun making sketches for a small, picturesque home in which he and his partner reside to this day. Wedlick’s first project in the region lead to dozens more residential commissions on both sides of the Hudson for his New York City-based firm. Sharing a romantic design sensibility, a quality that has come to be a firm signature, all these homes were built with local materials and an exacting attention to regional architectural style and a sustainable future. Dennis Wedlick Architect LLC’s reputation was built to a large extent on its Hudson Valley portfolio, and its list of local projects has continued to grow in the residential sector as well as the commercial and institutional arenas. Under the leadership of Wedlick and his partner in the firm, Alan Barlis, AIA, DWA has taken on projects as diverse as the Environmental Studies Department at nearby Vassar College, a rehabilitation of the legendary Antrim Lodge at the base of the Catskills, and large-scale community-planning projects throughout the valley. The Studio, which occupies a two-floor historic building in downtown Hudson, will be much more than a second office for the firm. Indeed, Wedlick and Barlis envision it as a center for regional design and development. The workspace includes a dedicated loft for exhibitions and conferences‹in fact, to inaugurate the space, the Studio will play host to an exhibition of exquisite architectural renderings by local artist and architect, George Ellsworth Shear (please see media advisory for details on this October event). The Studio will also be the headquarters of the Hudson Valley Congress of Residential Architecture, a regional chapter of the national advocacy organization of which Wedlick is a founding member (www.corarchitecture.org). Most importantly, however, the Studio will become a center of discussion about the development of the region. In the Hudson Valley as in other rural areas, the entire community depends on maintaining healthy natural and agricultural environments, while promoting economic growth‹and design can play a major role in striking this balance. DWA hopes that the work done at The Hudson River Studio will contribute to the development of design solutions that may be exported to similar developing rural areas across the country and beyond. “No matter what the project‹be it the creation of a weekend retreat inspired by nearby Shaker architecture, the renovation of a historic building for a new corporate headquarters, or the planning of an entire community to support agricultural development‹The Hudson River Studio will promote innovative and picturesque design while respecting the history and natural environment of the Hudson Valley region,” said Wedlick. Coinciding with his firm’s 10th anniversary, architect Dennis Wedlick is honored by the Cooper-Hewitt, National Design Museum. New York, NY – January 2003 – Architect Dennis Wedlick has been honored by the Cooper-Hewitt, National Design Museum: he has been selected to take part in the second National Design Triennial. The Triennial reviews new ideas and future horizons from architecture to interiors to product design, fashion, graphic design and new media. It is the only exhibition of its kind in the nation; to be chosen to participate is an honor representing a highlight in the career of any design innovator. In addition to Wedlick, the 2003 Triennial, subtitled Inside Design Now, will honor 79 designers and firms including product designers Daniel and Christopher Streng, lighting designer Jennifer Tipton, fashion designer Isaac Mizrahi, and several designers from the MIT Media Lab. The Triennial will be on view from April 22 through January 25, 2004. Wedlick’s objects in the exhibition will include three museum-quality models of varying scales. The projects chosen – three stunning homes – reflect the breadth and originality of his designs. This honor comes as Wedlick marks another milestone in his career, the 10th anniversary of his architecture firm, Dennis Wedlick Architect LLC. A decade ago Wedlick left the office of architecture legend Philip Johnson after a 12-year employment to realize his own design ambitions. He started a small practice in lower Manhattan – today the company is one of the country’s most respected residential design firms. The Triennial is the latest – and among the most prestigious – honor in Wedlick’s career. He has been widely covered in the architecture and design media, and is the author of The Good Home (2001), and the upcoming Designing the Good Home (2003) and Good House Parts (2003). Wedlick has taught architecture at Parsons School of Design and the University of Pennsylvania, and lectures at chapters of the American Institute of Architecture around the country.